This simple Bramble cocktail allows the zesty botanicals and deep floral aroma in Hendrick’s gin to be captured perfectly. Shake the first three ingredients together with ice and strain into a tumbler filled with crushed ice. Drizzle the Chambord over the top. 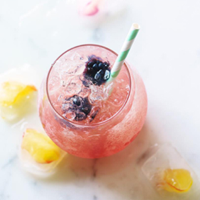 Garnish with blackberries and serve with a straw.